Earn $25* in account credit for you and your referral when you refer a friend to open an account at Leap Payments! Refer a friend’s business to Leap Payments. Your referral begins processing credit cards. You and your referral both get paid $25*! 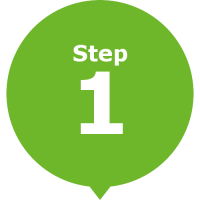 Step 1: Refer a friend’s business to Leap Payments. Step 2: Your referral begins processing credit cards. Step 3: You and your referral both get paid $25*! Looking To Join The Leap Payments Sales Team? Check out our agent & ISO partnership page instead. Industry leading splits, high risk processing solutions and award winning merchant support! Become An Agent With Leap! If you’re ready earn bonus cash in less than a minute, fill out the form below. You can customize the message that your referee receives so they know to thank you later. One of our friendly sales agents will reach out to them the same day. Your referral rewards are waiting! Include your’s and your referee’s information. I wanted to let you know about the great credit card processing I am receiving from Leap Payments. As a fellow business owner, I know how important it is to have quality payment processing at the lowest rates. The best part is, if you do make the switch, we both get $25! I know you'll love their merchant services as much as I do. *Referring merchant must have an open merchant account with Leap Payments. Rewards and credits to billing statement are applied within 60 days of the referred merchant’s account being approved and fully activated. Account credits limited to $25 per referred business, based on Tax ID of referred business.